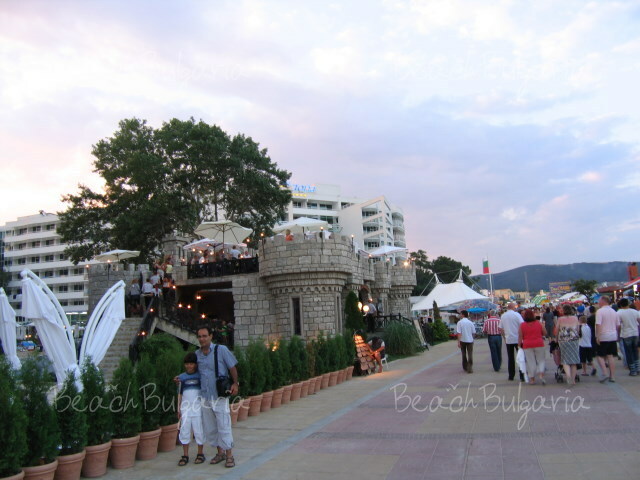 Sunny beach is a modern holiday destination stretching along one of the best beaches along the Black sea. Sunny Beach at night is the best party resort. Diverse choice of water sports can be found in Sunny beach. 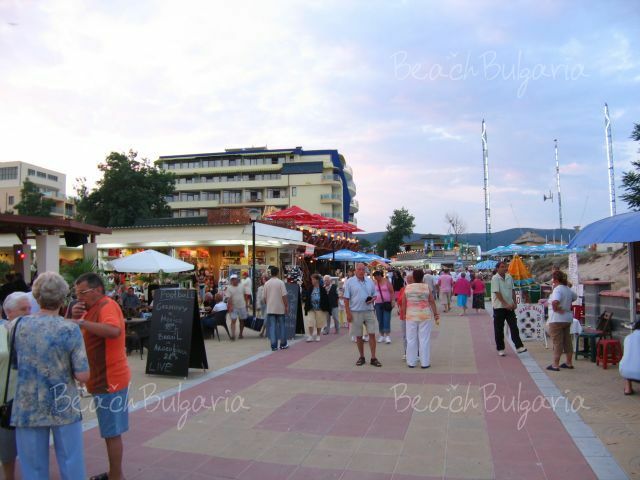 Sunny Beach is located in the southern part of the Bulgarian Black Sea Riviera. 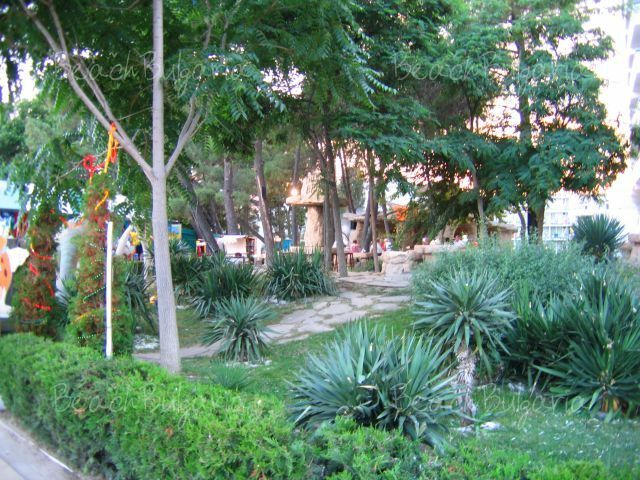 This sunny party site is just 3 kilometers away from the romantic Nessebar. Sunny beach is a modern holiday destination stretching along one of the best beaches along the Black sea. The resort was established in the early sixties of the past century. 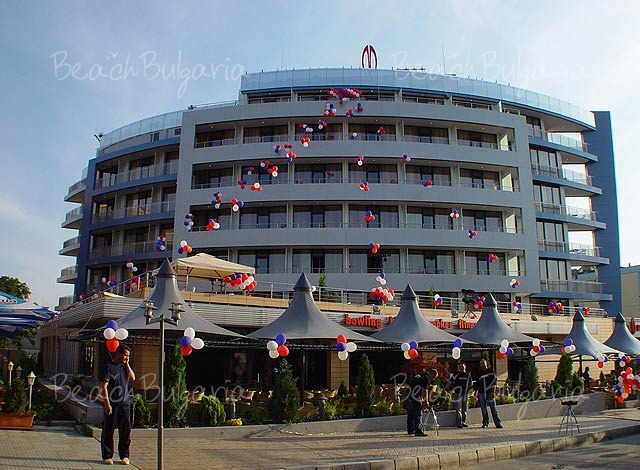 It is the biggest resort in Bulgaria with the longest and widest beach strip, with numerous hotels spread along the beach and among the dunes. The wide bay is facing east with over 8 kilometers long and 30-60 meters wide beach strip with fine golden sand, natural dunes and a clean slopping sea. The sea itself is warm and calm, with gentle sand bottom. The resort is famous for the combination of sunshine and fresh breeze. Invigorating air is carrying the freshness of the nearby mountains. The heat during the day is easy to bear and the nights are cool and pleasant. 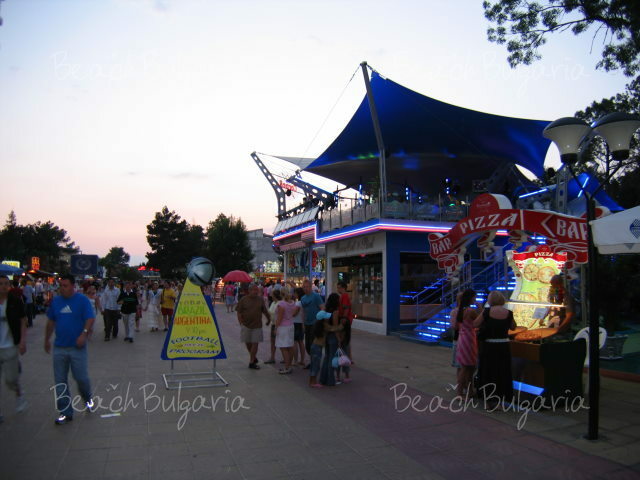 The summer season in Sunny beach is transforming the site into a magical place for a holiday. People, who visited the site once, can’t wait to come back again. The resort offers great opportunities for active and exiting holiday. Everything you need to experience the best summer vacation can be found here. Night life: Sunny Beach at night is the best party ever! Unforgettable memories are expecting those who dare to try it. After all people from many different countries are coming here every summer! Numerous entertainment spots are offering wild nights all through the summer. ORANGE is the name of the newest, the hottest disco in the site. For more information click here. Delicious food: More than 150 restaurants - tourists can try various culinary pleasures as well as traditional Bulgarian folklore style restaurants and other establishments with floor shows. Those who want to experience a traditional Bulgarian cuisine are diving into unforgettable atmosphere. Most of the folklore- style restaurants are offering a great spectacle of traditions and delicious dining choices. Bulgarian dishes are prepared by organic products. Bulgarian wine is a must. Don’t miss the famous Bulgarian yogurt! Sports: A lot of options for people who love sports can be found along the beach. 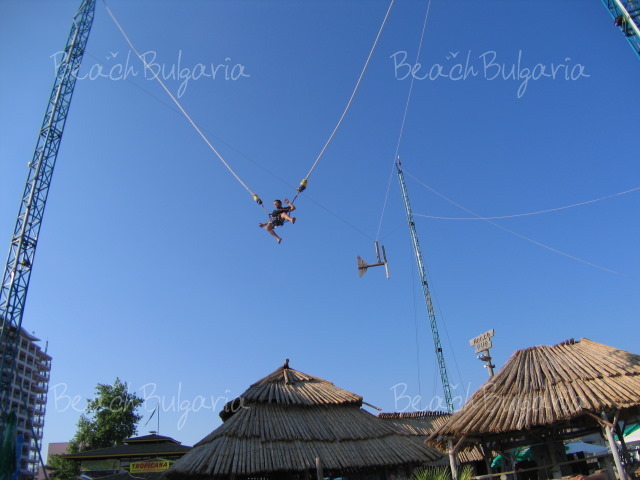 Diverse choice of water sports can be found in Sunny beach. 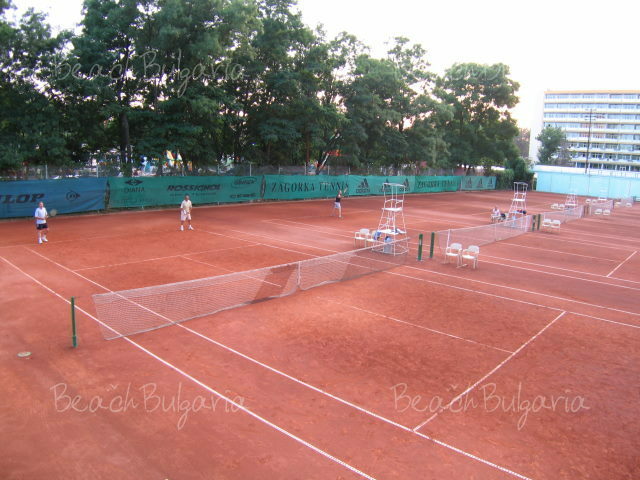 The site is also offering well- maintained and equipped tennis courts. Riders can also practice their favorite sport in Sunny Beach. Beach-volleyball, mini golf, archery, bicycle ride or rickshaw on wheels are other exiting choices. Children: Sunny beach is a real paradise for children. The nature is just perfect - mild climate, clean air, warm, calm and shallow sea. Parents can be relaxed about their kids. A 24 hours kindergarten gives them the opportunity to experience a carefree holiday. Children are happy, because they meet a lot of friends during the special events organized for them. They have their own disco parties, a lot of games and of coarse sports - under the guidance of experienced instructors. Sunny beach is difficult to describe. It is a resort which has to be tasted- it will definitely satisfy everyone. Transport: Regular bus services to regional centers Bourgas (35 km away) and Varna (95 km). Connections world wide via Bourgas international airport, harbor, railway station.